You go to any appointment and you hear an abundance of medical terminology that you might not understand – we’ve been there too. When you are at your eye appointment you might hear the terms nearsightedness and farsightedness. You might even be dealing with one of these conditions. But what do they both mean? First, let’s start off with nearsightedness. Nearsightedness, also known as myopia is a condition where you have trouble clearly seeing objects that are far away from you but have no issues seeing objects up close. For example, if you are dealing with myopia you generally won’t have any problems when you are using a computer or reading. People who suffer from myopia may have trouble reading road signs while driving, a white board at school, or being able to make out objects that are at a distance away from you. In most cases, people generally start experiencing blurry vision caused by nearsightedness at an early age. It was reported that 40% of the world’s population suffers from this condition and that percent will only continue to grow over the years. Next up is farsightedness. Farsightedness also known as hyperopia is the condition where people have no problem seeing things at a distance but struggle when they are trying to see things close up. Someone with this condition may have trouble reading or using a computer but will have no problem seeing objects that are further away from them. Farsightedness tends to run in families and is commonly present at birth. 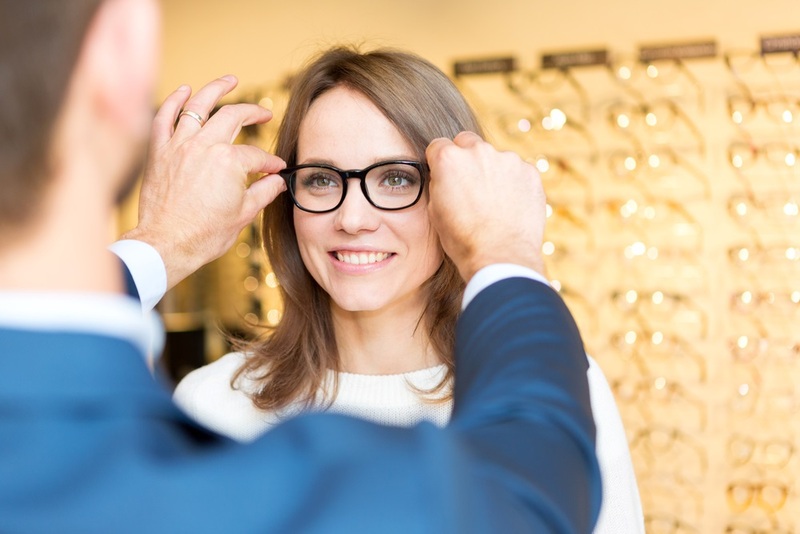 Luckily for people dealing with nearsightedness and farsightedness, there are many options you have to enhance your vision. Some options you have are getting prescription eyeglasses or contacts in order to see clearly again!